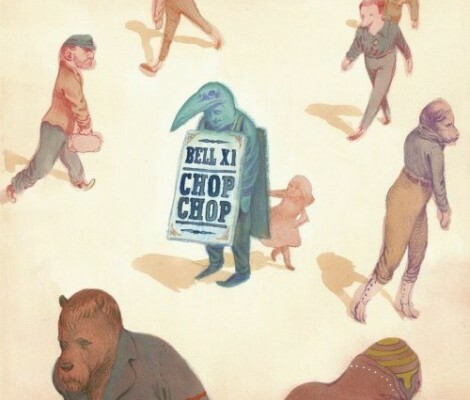 Sure the Irish trio Bell X1 have been offering up musical giftings for a while now, a dozen years in fact, but my kind ears seem to have only recently tweaked after hearing some of the exquisite samples of sounds from their upcoming sixth studio album Chop Chop. They are “shrinking the palette” and offer an almost absolute taste of rich and effortless orchestral rock themes. From the mesmerizing “Starlings Over Brighten Pier” and its looping piano and visuals to Paul Noonan’s apocalyptic narrative in “The End Is Nigh”. The rhythms are delicate, lyrics vastly expressive and the riffs swoon-worthy. A ‘Talking Heads’, ‘No’, ‘Springsteen’ and ‘Sunshine Underground’ feel – their level of impressiveness ballooned further by The National‘s longstanding producer Peter Katis having produced this album. Available from the end of June, chop chop give it a go! Bell X1 -Starlings Over Brighton Pier from Bellx1 on Vimeo.